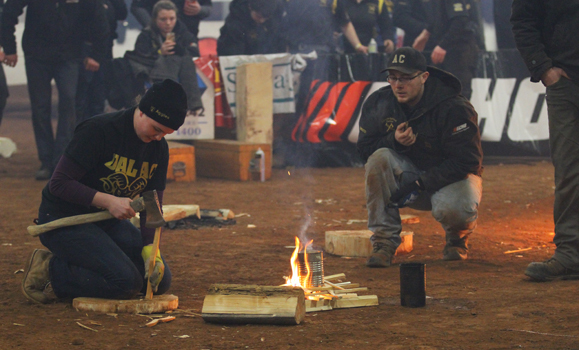 There’s been no shortage of motivation this year for the Dal AC Woodsmen. The Canadian Intercollegiate Lumberjacking Association (CILA) final competition to determine the Association Champions – something the Rams have become accustomed to winning slipped through their grasp last season and they’ve come back in 2018-19 determined to return to their perch at the top of the table. So far that approach has paid off as both the Men’s A and Women’s A squads lead their respective points standings heading into the final event of the season this weekend, the 34th annual Rick Russell Woodsmen Competition at MacMillan Show Centre at the NSPEC Complex in Bible Hill. Action starts Saturday, February 9 at 9 a.m. with timed events, which include chopping and sawing disciplines, a water boil, axe throwing and pole climbing among others, running until about 4 p.m. The day wraps up with the season’s champions presented with their awards at the teams only evening presentation. Teams from across Eastern Canada and the Northeastern United States will be duking it out for those honours. Admission is $5 per person and children under 12 get in free. The men enter the weekend with a commanding 502.49-point lead over the University of New Brunswick thanks to sweeping the season’s other three events at UNB, Sir Sandford Fleming College and McGill University’s Macdonald Campus just last weekend. The women face a much tighter battle to regain their crown. They hold a slim 71.85-point cushion over McGill while Sir Sandford Fleming sits a further 67.54 points adrift. The women won the UNB and McGill events, but finished third at Sir Sandford Fleming College to bunch up the standings. DAL AC’s men’s team has won five titles in the past seven seasons, including back-to-back crowns in 2016 and 2017 but finished second in points a year ago to UNB. The women collected four championships in the same timeframe and finished third in last season’s standings. 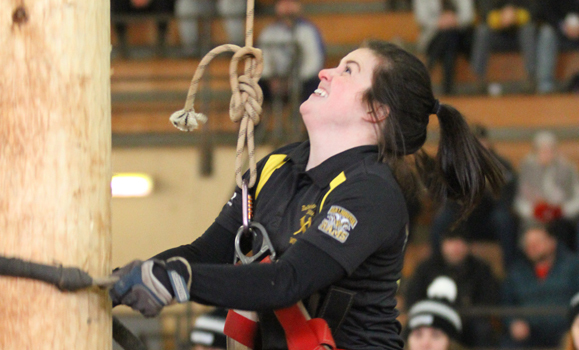 Nothing is a given, but the Woodsmen have traditionally had a strong showing at their home competition, which packs nearly 800 people into the MacMillan arena. The athletes feed off that energy and use it to their advantage. Both the men’s and women’s squads have benefitted from a strong veteran presence in their lineups this season. The bulk of both rosters are third and fourth-year student-athletes who have come up through the system via the Woodsmen B teams. That’s going to be key this weekend if the Woodsmen are to reach their goal of returning to the top on home soil. “They’ve put in the work and now they just have to focus and do what they know they can do,” Larkin said.